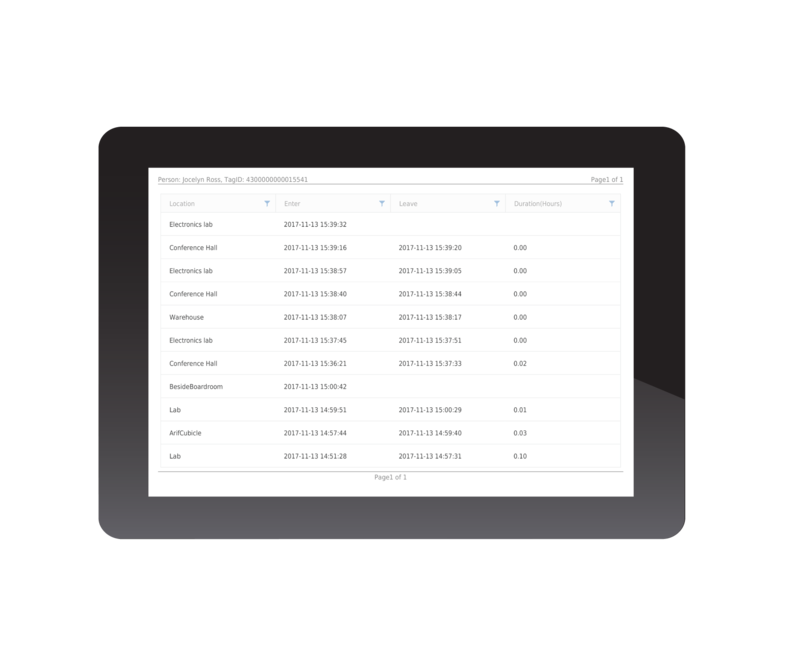 People Tracking software developed by GAO RFID experts alongside our industry customers' insights. An easy to use interface allows you to locate workers based on zones of 65 - 400' radius. Quickly check to monitor movement of workers and use the software to analyze the collected data. 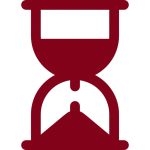 Easily collect and export employee time & attendance data to streamline monitoring. Trigger the Real-Time View to see personnel activity in one particular zone. 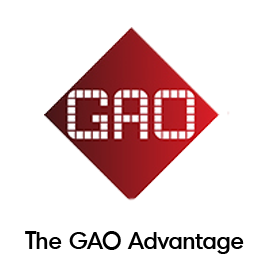 The GAO RFID Personnel Tracking System is an integrated tracking solution that can monitor personnel in real-time, enabling you to improve workplace safety, increase productivity, while tracking time and attendance. 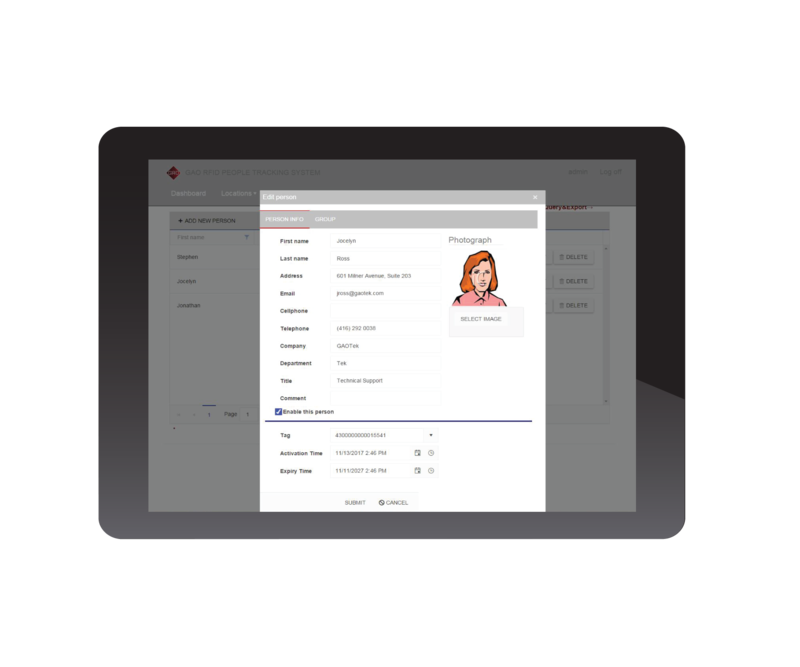 Once you login to our software, you are greeted with a user-friendly dashboard powered by our proprietary Auto-ID Engine that is designed to give you 360° visibility of your employees throughout the work day. 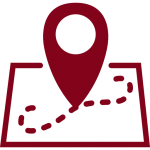 Easily define the locations at your site where you want to track your personnel. 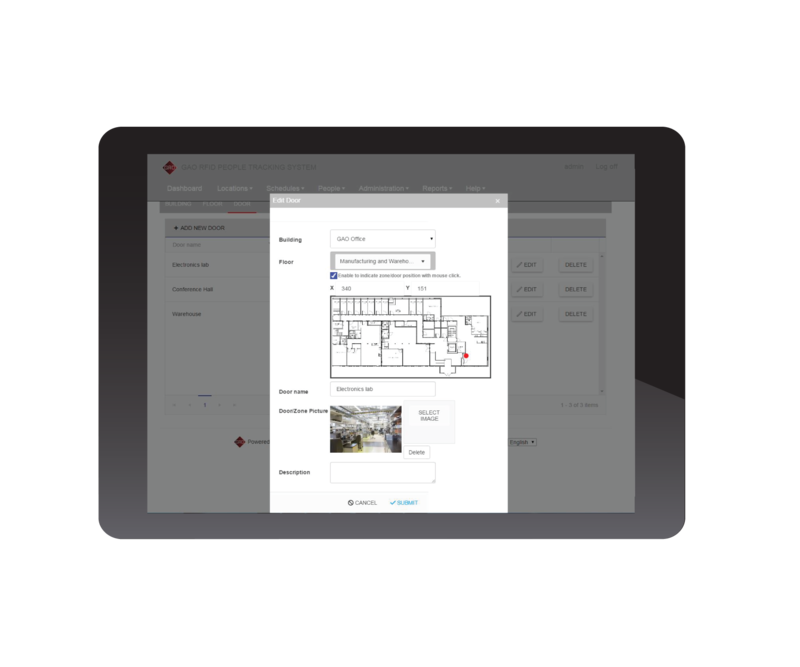 By uploading floor plans and then specifying the buildings, floors, and doors, you can quickly create the zones where you want to monitor personnel movement. Upload floorplans of your building to be used for tracking. Next, quickly add RFID readers to the system and assign them to the locations where they have been installed. Assign your employees and visitors dedicated RFID identification tags, organize them into user groups and control which areas they can enter/exit to further refine tracking and monitoring abilities. Access RFID tags to personnel and visitors. 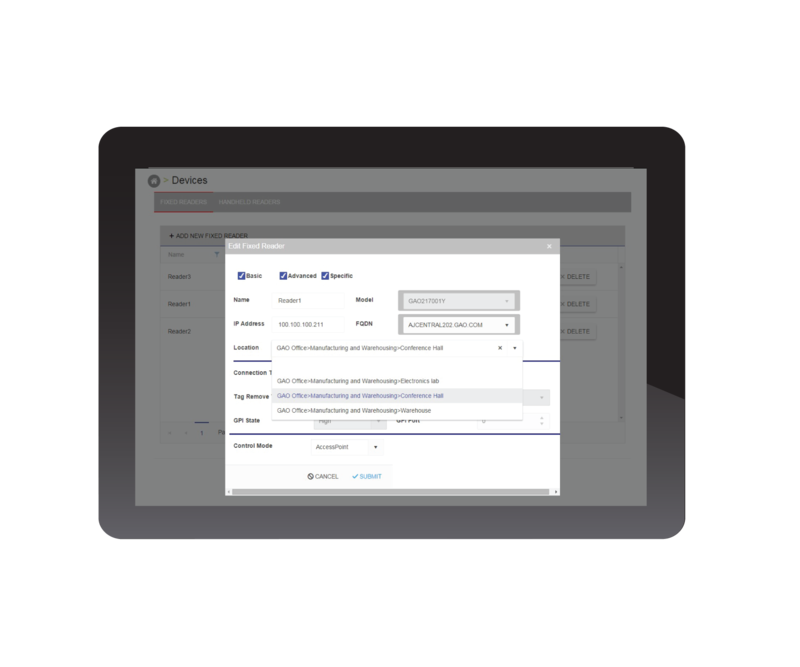 Create user groups to control different areas of access. 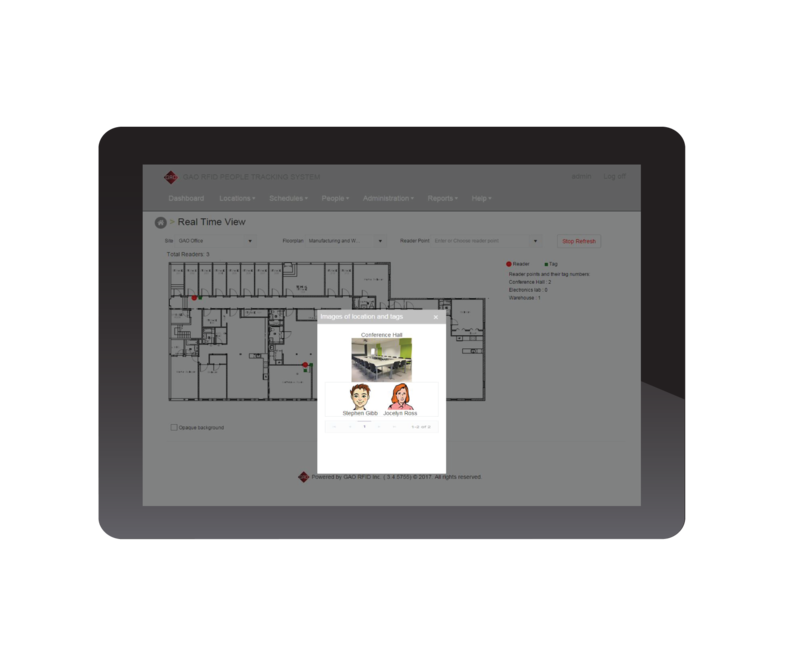 Using our easy-to-use tracking interface, quickly lookup and locate individual personnel or visitors to find their location visually right on your site’s floor plan. 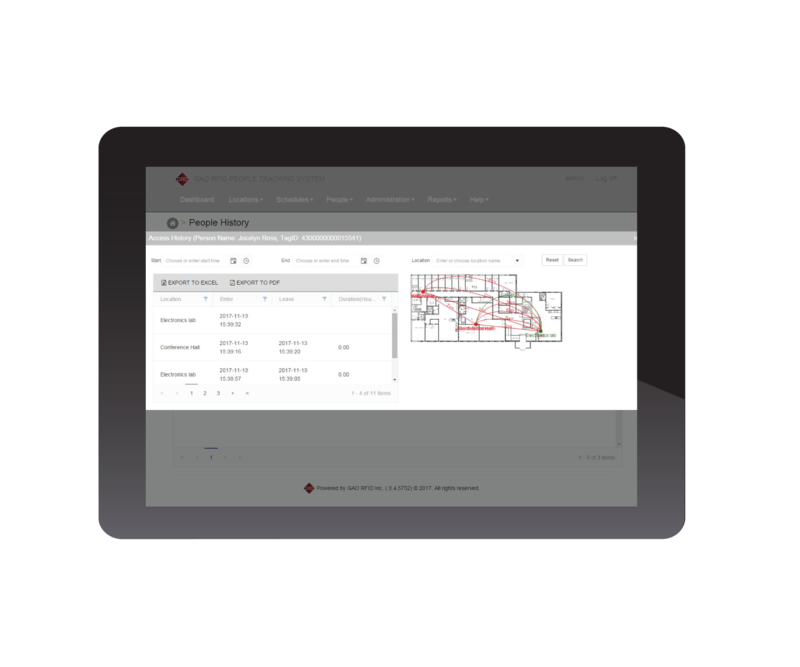 Visually track and locate personnel on your floorplan. Gain access to robust reports that provide important personnel location data filtered by location, date, individual personnel, and more! Verify when an employee entered and exited a floor. See how much time an employee stays in one area. Visualize employee movement paths throughout the work day. Gain access to robust reports that provide critical personnel monitoring data filtered by location, date, people and more! 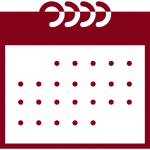 Interested to see how our People Tracking software enables personnel tracking for your organization? Our Expert will walk you through a demo! How many doors in your environment? How many employees & visitors?